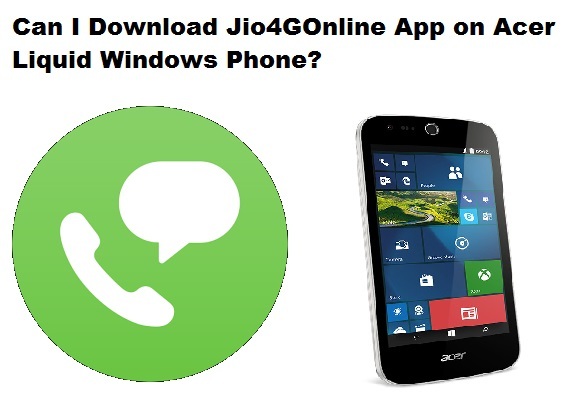 Can I Download Jio4GOnline App on Acer Liquid Windows Phone? No, you can not download and install jio4Gonline app on your Acer liquid windows phone. Reliance jio is yet to release jio join app compatible with window's phones. You will be able to install only when the official apps are launched by jio team. Can I Download Jio Join Apk File on My Acer Windows Phone? You can download the apk file of jio4Gonline app only after the official launch of the jio join app for windows phone. Until then please do not download any app from the link that claims to give you the apk file. You may become a victim of malware injection on your mobile phone.